26 m La Dolce Vita built by Moonen Shipyard to the design of the famous Mulder is ready for the new Owner to enjoy her luxurious interior.This winner of prestigious Showboats Award classic displacement yacht La Dolce Vita is in excellent condition. 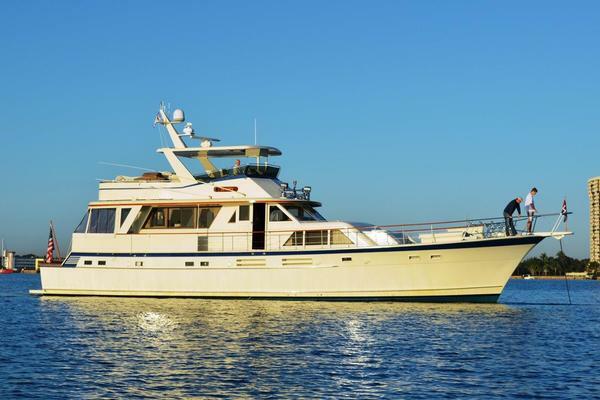 Her elegant classic interior offers accommodation to 6 guests in 3 spacious staterooms. 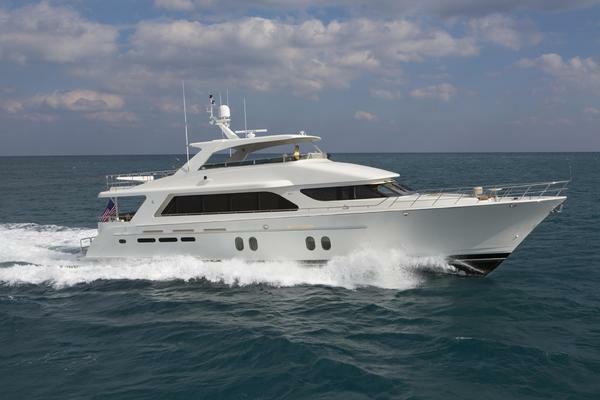 United Yacht Sales New Jersey would love to guide you through a personal showing of this 85' Moonen 26m 1999. This yacht for sale is located in Unknown France and priced at $1,250,000. For a showing please contact us by filling out the form on this page and we will get back to you shortly! MAN D2848 E401, 8 cylinder "V"
Engines: 2 x MAN 680HPEngine Model: D2848 E401, 8 cylinder "V"Fuel: DieselGearboxes: Hydraulic gearboxes ZF Marine, TypeIRM 350A, 2.636:1Start and stop controls and alarms at steering positionRexroth engine controlsSteering: Cramm hydraulic systemStabilizers: SeaRocq Koopnautic stabilizersAir Conditioning: CLIMMA CWS10835 a/c throughout the boatFan coils located throughout the vessel, with independent controlsKabola 40 kW diesel fired water heating unit provide heating thoughoutUnder floor heating in bathrooms and heated towel railsHEM watermaker (200 l/hr)Bow thruster: Cramm hydraulic systemFire/ Bilge pump: Honda GX 120 bilge pumpsWC´s: Vacuum flushCramm central hydraulic system for steering gear, bow thruster, stabilizers, anchorwindlasses, warping capstans and deck crane. Powered by two PTO and electric pump. Owner: the Master Stateroom is located aft and is accessible from the salon. It isfurnished with a king island berth with integrated nightstands. To one side of the stateroom is alarge sofa, and on the other an immense desk above which is the escape hatch that opensonto the aft deck. 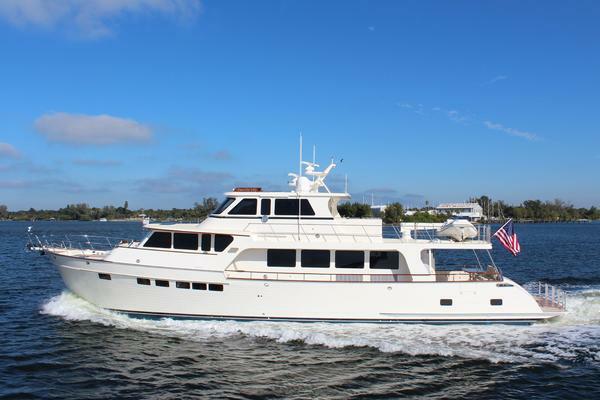 On the starboard side is an expansive closet and on the port side themaster bathroom that includes his and her sinks, bidet, marble floors with heating andwhirlpool bath.Guests: Aft of the crew's quarters are two Guest Staterooms, one furnished with a queenisland berth and the other with twins. The guest cabins feature a corner study in each roomand a vanity with sink, marble floors with heating, linking the cabin and head.Crew: Crew accommodation area forward in the bow and consist of a crew mess, 3rd crewberth, galley, utility room and a double cabin with over and under berths and a corner study.